Shillong is a place of immense natural beauty, a must-visit in Meghalaya. The capital of Meghalaya, Shillong, is a beautiful hill at an altitude of 1,496 metres above sea level. It is popularly referred to as the Scotland of the East, owing to its cascading waterfalls, undulating hills and an impeccable climate. The town receives quite a bit of rainfall through the year; and that lends a certain charm to all the sightseeing places. 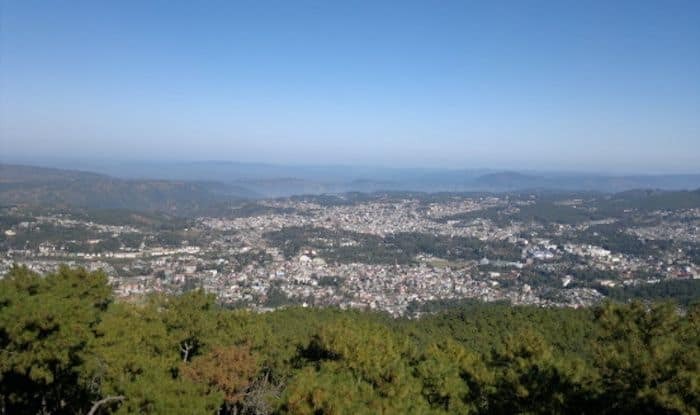 A great example of that is the Shillong Peak; it’s a great idea to visit it right after the rains recedes, to enjoy a refreshing view of the city. Whether you visit this vantage point during the day or night; you are promised a lovely time. Another gorgeous attraction is the Elephant Falls. It is believed to have got its name from a huge elephant-shaped rock near it, which was later destroyed in an earthquake. The three-tier cascading beauty is surrounded by dense vegetation on all sides, perfect for a quiet picnic. If you wish to take a walk down history, don’t miss out on the Shillong Golf Course, called the Gleneagles of the East, where you’ll be instantly transported to the colonial era. It’s located right near the Botanical Garden, and is the first natural 18-hole golf courses in Asia. Shillong is also home to many churches, but if you had to pick just one, visit the Shillong Cathedral, also known as Cathedral of Mary Help of Christians. Featuring high arches and stained glass windows, the white marble building looks every bit grand and elegant. Other must visit attractions are the Police Bazaar for shopping; the absolutely stunning Rengthiam Falls; Lady Hydari Park situated right in the heart of Shillong and Ward Lake, a man-made horse-shoe shaped artifical lake right in the heart of the city with a pretty isles and an ornate bridge over it.